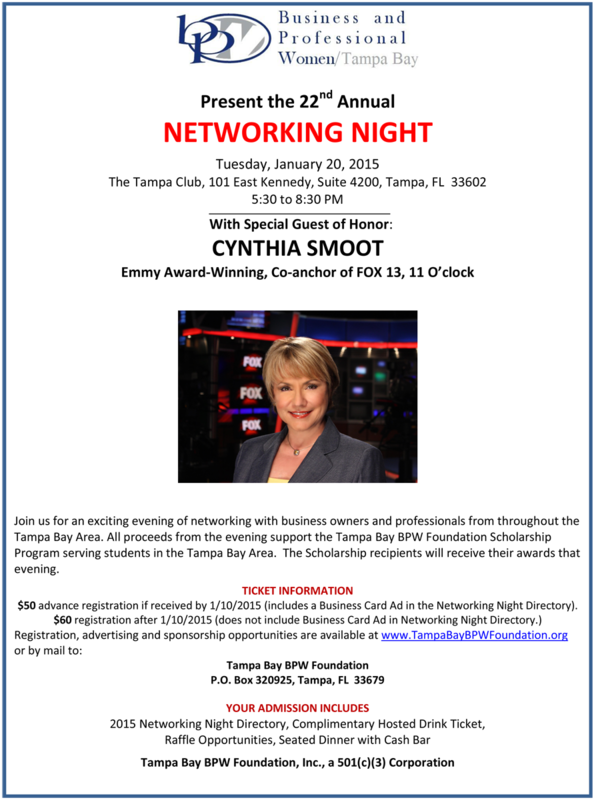 You are invited to join us for the Tampa Bay BPW Annual Networking Night on January 20, 2015. Click here to buy your tickets! Seating is limited. Networking Night is a chance to mix and mingle with our members, scholarship recipients, distinguished guests and Tampa Bay business owners! Enjoy a seated dinner, along with our Keynote Speaker, Cynthia Smoot from FOX 13 as we also announce our scholarship winners and Outstanding Woman of the Year Award!